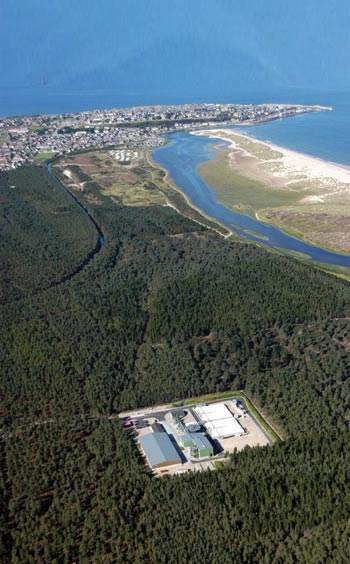 Lossiemouth wastewater treatment works is the central sludge treatment and disposal facility for the entire project. Sequential Batch Reactors (SBR) perform biological treatment at each of the three new works. Odour control was of particular importance to the project. H2S levels in the vent stack are constantly monitored and the dosing within the chemical scrubber automatically adjusted. 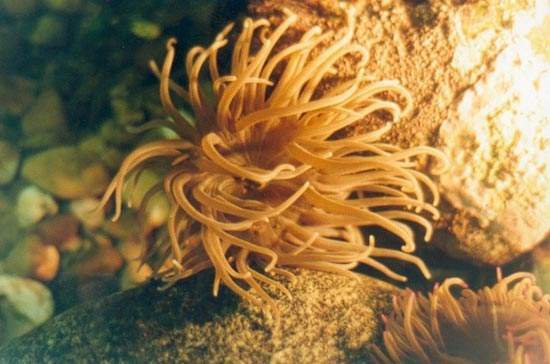 The Moray Firth supports a wide diversity of marine life. Effluent is therefore constantly sampled and analysed. Discharge standards have been met without exception. Early 2004 saw extensive work in Whitehills to upgrade and improve the area's storm water arrangements. Since no screening takes place within the pumping stations, the above ground structures could be kept to a minimum size. Pumping take places below ground in an attempt to minimise odour nuisance. A total of 14 short sea outfalls were replaced or extended. 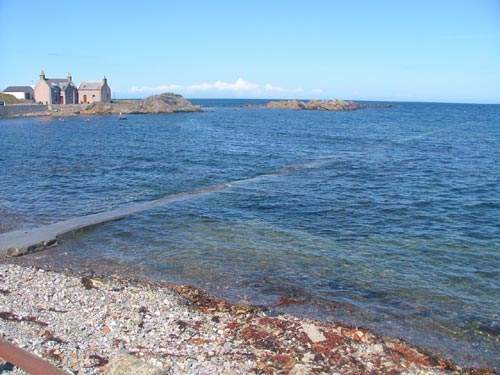 Completing all the necessary work required along the Firth in a single project meant that the smaller coastal communities had full treatment facilities two years ahead of the EU Directive timeframe. One of ITT Flygt's N-pumps undergoing factory testing. The Oakenhead Wood plant has a total of 13 N-pumps of various sizes; the Buckie and Macduff facilities have a further 11 between them. 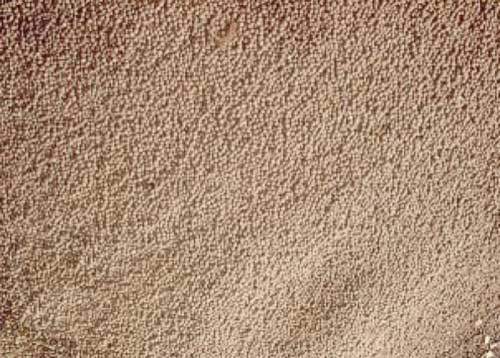 After thermal treatment, the sludge forms a Class A fertiliser pellets with a TDS of around 92%. It is stored for up to six months before being distributed in bulk for agricultural use. The updating of storm water arrangements in Whitehills in the spring of 2004 signalled the final stage of a radical modernisation of wastewater treatment along the Moray Firth which had begun three years earlier. The work – under a Scottish Water contract awarded to the Catchment Consortium – was chiefly driven by the demands of the EU Urban Wastewater Treatment Directive. Pre-existing arrangements had principally relied on direct discharge into the sea. The project involved the construction of three new wastewater treatment plants providing a combined capacity of nearly 60,000m³/d, a sludge treatment works and a network of new sewers, serving 55,000 residents and local industry. It also required 46km of pumping mains, 22 individual pumping stations, 14 short sea outfall replacements or extensions, 8km of gravity sewers and two long sea outfalls. Awarded on a design, finance, build and operate basis, the project cost £60 million. The scheme covers about 70 miles of coastline, servicing those communities from Burghead to Macduff which did not already have some form of wastewater treatment facility. 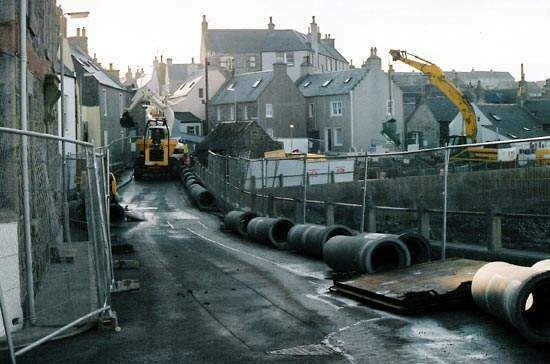 The project was divided into three elements – Moray West (Burghead to Lossiemouth); Moray East (Portgordon to Cullen); Banff /Macduff (Whitehills to Macduff) – and centred on new treatment works at Lossiemouth, Buckie and Macduff. Existing discharges were intercepted, using a network of new conveyance sewers, rising mains and pumping and storage stations to direct the wastewater to the appropriate facility. 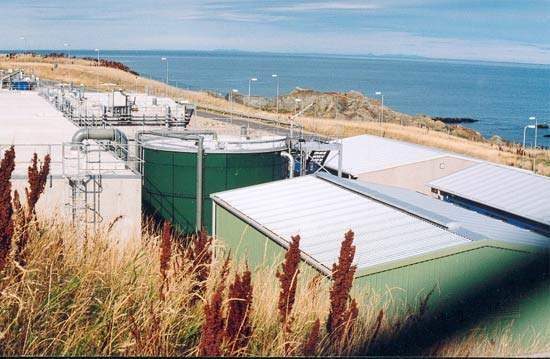 The EU Directive required that the larger population centres of Elgin, Buckie, Banff and Macduff had full wastewater treatment facilities by 2002. Although smaller towns had later deadlines, it was decided to combine the work into a single project, comprising two phases. By the end of summer 2002, the main settlements were brought on-line. The smaller, outlying communities were connected early in 2003, well ahead of the Directive timeframe. Sharing essentially the same basic design, each of the three new treatment works is a largely self-contained facility. The wastewater inflows are screened and de-gritted at the inlet before undergoing biological processing in aerated Sequential Batch Reactors (SBR). Periodically the air input is stopped to an individual cell to allow settlement, the effluent subsequently being removed from above the settled sludge by a mechanical trough. Activated sludge and a new inflow of fresh sewage is then mixed in to continue the process. 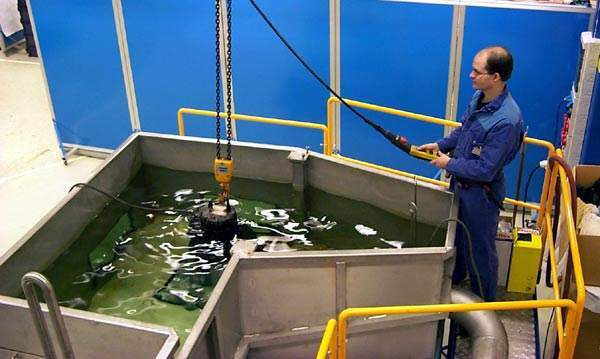 Sludge is removed from the bottom of the tank as required and either itself returning as activated sludge, or removed for treatment. 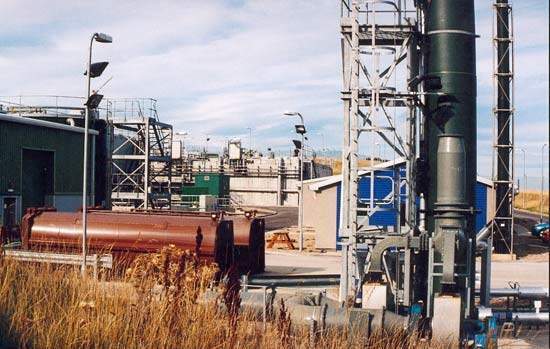 Although the Oakenhead Wood plant at Lossiemouth is the centre for sludge treatment and disposal – dealing with some 10,000m³/d – each of the works has its own three-belt press for sludge thickening. This equipment has a pre-thickening first belt, driven independently of the other two, which dewater. Allowing the optimum speeds to be selected for these separate operations enables the press to handle a very dilute influent, whilst producing a solid cake product. This makes it well suited to the thin sludges produced, especially since material from Macduff and Buckie must be transported to Lossiemouth. The 17% TDS cake, together with other sludge brought in by Scottish Water, is put through a high temperature dryer running at 220°C and pelletised to form a Class A product suitable for fertiliser use on agricultural land. The finished pellets, now with a TDS of around 92%, are stored at the works for up to six months before being distributed in bulk bags. The material is subject to thorough analysis and any which does not comply with the required standard is landfilled at a licensed site. No charge is made to the farmers involved, but this part of the operation is highly regulated. The receiving soil must be of suitable type, only permitted amounts may be spread and only then at given times of the cropping cycle. Careful records are also required for each batch of sludge. The wastewater treatment works each have a long sea outfall, discharging up to 1km offshore. The effluent is required to have a BOD of less than 35mg/L and a COD of less than 125mg/L. 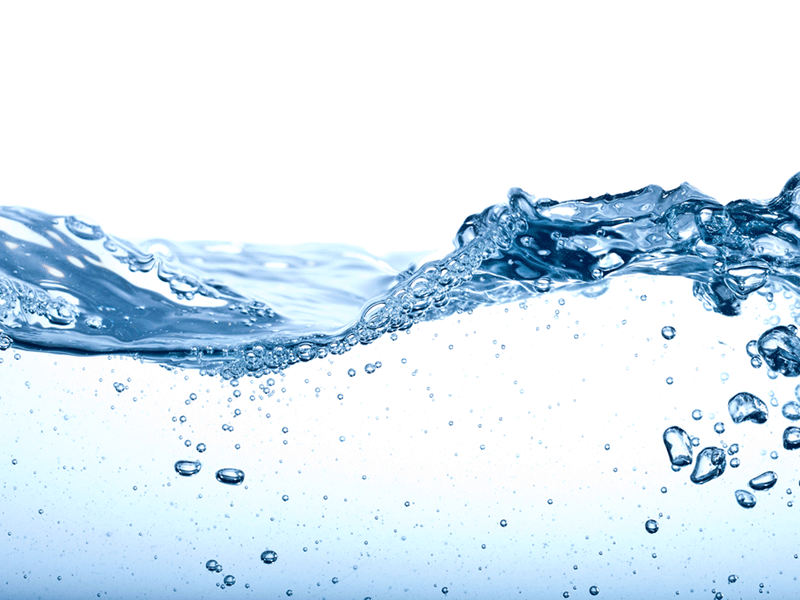 Effluent quality is constantly sampled and analysed automatically, routinely returning results in single figures. There has been no failure to meet these standards since the works became operational. The structure of the contract between Catchment and Scottish Water would penalise any non-compliance. Ultraviolet treatment equipment is used to meet the additional bacteriological standard which applies to Macduff. The original odour control requirements were particularly stringent – well ahead of the new statutory code of practice, effective from Spring 2006 as part of the Water Services (Scotland) Act. Planning required all tanks be fully covered, a common condition for sludge, but an unusual one to impose on sewage treatment. Extraction systems remove gases from each of the tanks and buildings, passing them through a scrubber and then out of a vent stack. H2S levels are constantly monitored and the chemical dosing automatically adjusted to optimise odour control. 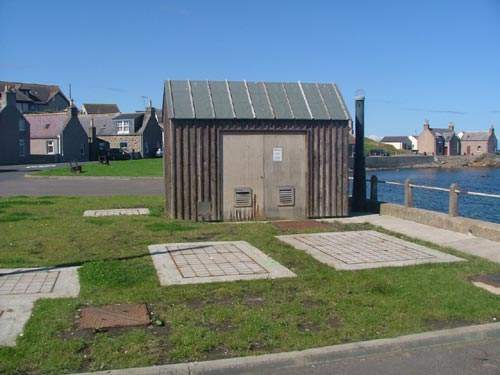 No screening of the wastewater takes place within the pumping stations along the coast, which has enabled the size of above ground structures to be kept to a minimum. Since the actual pumping take places below ground, within internally ventilated and filtered chambers, the potential for odour nuisance is significantly reduced. Some smell problems were reported initially, particularly around the pumping stations at Whitehills and Banff, and especially in the hot weather, but these now seem to have been overcome. Storm water storage also proved challenging, from deciding the overall strategy to the volumes and location of the eventual facilities. To avoid disruption to the region’s compact harbours, the final plan involved avoiding the use of large-scale deep-rock excavation in favour of providing the smallest possible storage arrangements which still enabled bathing water quality to be protected. Scottish Water was the client and Abbey National was the funding institution. Catchment consists of a number of equal share partners. The main partners are United Utilities, AWG Project Investments (formerly Morrison Construction, PFI) and International Water. Bechtel – Morrison JV, a joint venture company comprising Bechtel Water Technology and Morrison Construction (now AWG Construction), were responsible for the Engineer, Procure and Construct (EPC) contract which started in June 2001 and lasted for around 18 months. The operational phase, from completion until the end of the 30-year concession, is managed by United Utilities. Simon-Hartley supplied the sludge thickening equipment, Europumps and ITT-Flygt provided pumps, Longwood were responsible for the screens and the sludge dryer was supplied by Sagers. Snowie have the first ten-year contract for sludge up-lift and disposal. In addition, a number of sub-contractors were involved in the pipe laying, outfall construction, building, mechanical, electrical and instrumentation works, including Gleeson and Ennstone Thistle.